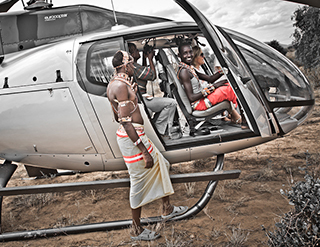 Each Bespoke Safari is tailored to your individual requirements, created and managed by a team that is committed to harnessing tourism responsibly to preserve Africa’s wild places and sustain the people that live there. That passion is clear to see in each of our hosts who will accompany you on your trip, and in our professional safari guides. Your host’s role is to ensure that everything runs smoothly according to the itinerary laid out during your safari’s planning stage, and to fix problems or worries large or small. 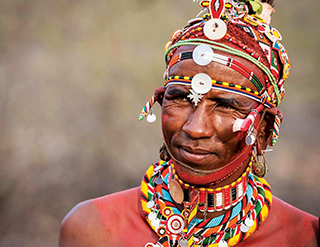 They are your liaison with the lodges, guides and locations for your safari. 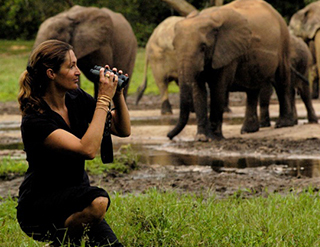 Oria owns, manages and inspires Bespoke Safaris. A pioneering believer in the role of responsible tourism to help keep Africa’s wilderness pristine, she maintains a close involvement in all guests’ visits, whether or not she is your direct host. She has travelled extensively, both as an activist for elephant conservation and as a host to VIPs, always with an eye to discovering spectacular and under-visited locations that match her attention to detail and high expectations. As your host, she will quietly ensure that everything is ticking along smoothly, while also taking the time to regale you with story after story of her many adventures and those of her family before her, and the layered nuances of a lifetime in Africa. Oria’s eldest daughter, Saba is a passionate naturalist who was brought up in the bush amongst elephants and has a Masters in Social Anthropology. Since 2000 she’s showcased her expertise as a presenter on wildlife documentaries, including the BBC series Big Cat Diary, Secret Life of Elephants and This Wild Life. Energetic and passionate about her subject, she also has a spiritual mindfulness of the need to let the calm of the wilderness work its magic on guests fresh from the churn of modern life. As your host she is exceptionally attuned to your needs, full of fun, and a fascinating repository of both Western and African understandings of the natural world around us. We choose our professional safari guides very carefully. All are accredited with their relevant national associations to ensure that their knowledge and expertise are of the highest standards. But more importantly, we handpick the people we work with for their passion and clear dedication to the preservation of the African wilderness, and their pride and enthusiasm in revealing its majesty to our guests. The charm, professionalism and dedication of our guides are among the main reasons that we are among Africa’s leading small safari companies.